Congratulations to a very happy mother and a wonderfully contented baby boy! We’re all of a flutter here at London Perfect. Who wouldn’t be? One of the city’s, nay the nation’s most elegant women, Catherine Duchess of Cambridge, has given birth to a baby boy. The third in line to the throne is here! And with the weight of royal expectation upon his tiny, wee shoulders he has been given a suitably strong set of names. But what’s in a name? Clearly for the scion of a family and institution so steeped in tradition these are not names picked out of a hat. Indeed, no. Let’s start with George. Immediate connections go back to George VI, the father of Queen Elizabeth II and recently depicted by the dashing Colin Firth in the recent film, The King’s Speech. 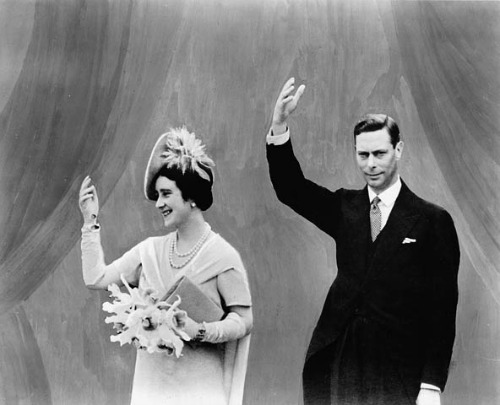 King George VI and his wife Elizabeth. … he needed all the help he could get. And taking a name soooo English that four out the five Hanoverian Kings sported it probably helped cement their claim to the throne. The German George I of Hanover, King of Great Britain c. 1714. We won’t talk too much about George III though. 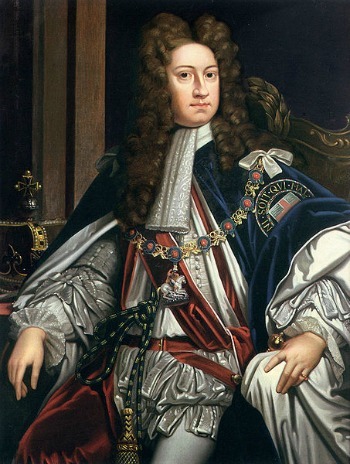 He may have been very settled as King by then but he did lose the American colonies. Gah. So that covers “George”, but what of Alexander? Well, Alexandra is the middle name of George of Cambridge’s grandmother – Queen Elizabeth Alexandra Mary in full – so that’s the immediate familial connection. Alexander was also the name of three medieval Scottish kings so that’s a helpful reminder of the future monarch’s position as ruler of a United Kingdom of Great Britain and Northern Island. Going further back, however, this name has Greek (or Macedonian) origins. And we’re not talking about Prince Philip, the Duke of Edinburgh’s connection to the Greek royal family. Let’s go back 2,300 or so years to the reign of Alexander III of Macedonia, also more commonly known as Alexander the Great. He was such a successful military leader that by the age of 25 he was leader of the Greeks, overlord of Asia Minor, pharaoh of Egypt and Great King of Persia. Imagine what he would have achieved if he had not died at age 32 in mysterious circumstance, possibly involving murder and a lot of alcohol. However, In terms of military prowess and chutzpah, Alexander is certainly a good role model for young George of Cambridge. 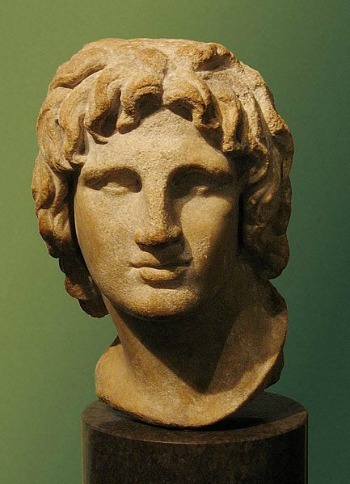 A 2nd-century marble bust of Alexander the Great from Alexandria in Egypt. You can see this piece in the British Museum next time you’re in London. Finally, let’s look at the name Louis. This has great personal significance for William’s side of the family. Lord Louis Mountbatten, last Viceroy of India, and uncle of Prince Philip was a great mentor and confidante of Charles, Prince of Wales. Mountbatten was assassinated by the IRA in 1979. Going back further than the 20th century, Louis is a name that litters most of the Royal Houses of Europe. It gained incredible popularity in the late 13th century after the son of Charles of Anjou, King of Naples, became a saint, Saint Louis of Toulouse, and one of the most significant Franciscan saints of all time. You find Louis popping up throughout Europe with the French and Hungarian royals taking a particular shine to the name. 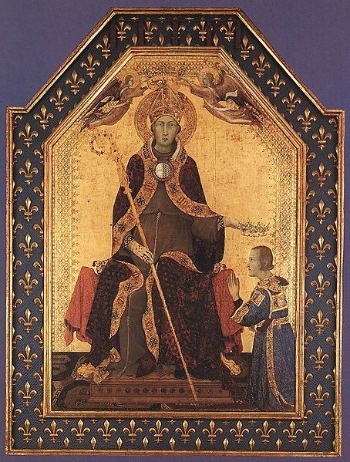 A suitably serious and holy looking St Louis of Toulouse on an altarpiece by Simone Martini c. 1317. So there you have it. As long as George of Cambridge doesn’t decide to become a Franciscan friar – thus causing much ruckus in the Anglican household of Windsor, never mind some sort of constitutional crisis – this is an excellent choice of names for a future monarch. Martial, proud and strong in tone, George has a magnificent start to an exciting life ahead. We wish him, his mother and his father the very best! On the off chance you are completely baffled by the familial connection of the Royal family, here’s a rather helpful family tree that goes back to 1837. PREVIOUS: Antiques and Fine Art Fair at the Mall Galleries – And a Little Ticket Giveaway! Posted on Monday, August 5th, 2013 at 10:51 am in London Living. You can follow any responses to this entry through the RSS 2.0 feed. You can leave a response, or trackback from your own site.